Here in the LinkedIn Sydney office, excitement is building for our annual Talent Connect conference, which shines a spotlight on how talent acquisition leaders throughout Asia Pacific are transforming their respective organisations. We are always so thrilled to see so many of our customers, partners and local thought leaders gathered in one place to debate the hottest industry issues. This year of course, is no different…only that everything is bigger, better, and tastier than ever (tastier? Check out the bottom of the post). Talent Connect Sydney will be held over two days this April 29-30th in The Star and the agenda this year is packed with so much goodness, we can’t wait to share it. Ed Nathanson from Rapid7: When Ed joined Rapid7 in November 2011, he joined a company in reactive recruitment mode. Ed set out to build a highly strategic, proactive talent acquisition team – and his story of transformation is one of the best we've heard. Whether you work for a large company with a big team or a mid-sized company like Rapid7, Ed’s presentation will give you great ideas for innovative talent acquisition strategies. 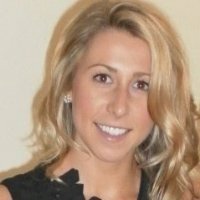 Anastasia Liberatos from Salmat: In three short years, Anastasia has elevated the role of talent acquisition from tactical to strategic within Salmat, Australia's leading multichannel communications company. She achieved this by dramatically reducing agency spend by over 90%, while embarking on a journey which was part incremental change, part transformation. Anastasia will share her secrets in driving success and alignment at all levels from practitioner to executive suite, and how creative thinking made the journey possible. You’ll also hear from inspiring people who are changing the world outside of the talent acquisition industry. OzHarvest founder Ronni Kahn has already rescued over 21 million meals, typically wasted by the food industry, and given them to the homeless. Peter Baines will share some of his extraordinary life experiences and achievements as one of Australia’s most experienced disaster management specialists. Attendees can mix and match sessions from both tracks in order to get a 360-degree picture of the latest in the industry. Now…we did say “tasty” in the introduction and here’s the big reveal: all the lunches and meals at the event will be in some of the top restaurants in Sydney. Black by ezard, Balla, The Century are just a few hints. We like to think of Talent Connect as a conference where people know how to enjoy great ideas, great peers and great food. Click here to register and see you in Sydney on April 29-30th.